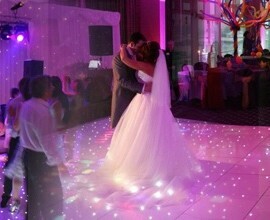 One of the most memorable moments of any wedding is the first dance. 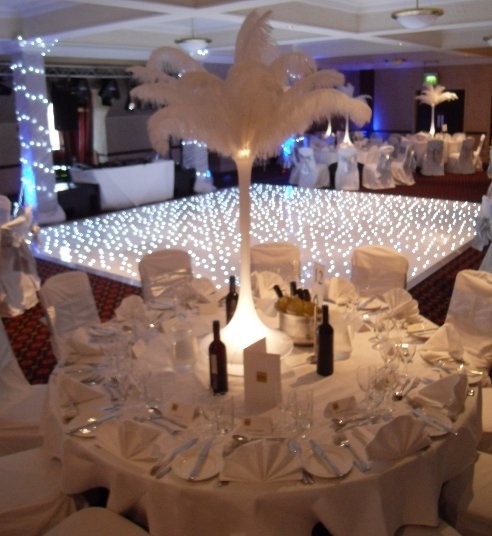 The married couple will take part in this wedding tradition during the evening portion of the event, dancing to a favourite or meaningful song in the middle of the floor. 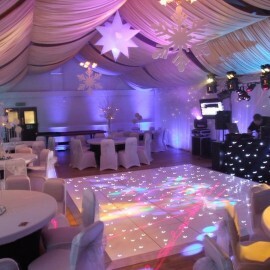 It is a special moment, and one you can make even more magical if you hire a twinkly dance floor in Cheshire. 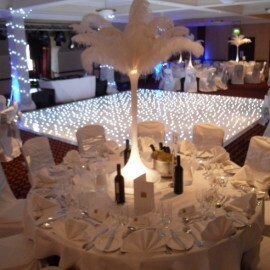 Have a look and see what, in fact, a twinkly dance floor is below. Twinkly dance floors, which you can hire for events in Cheshire, are able to produce a magical effect that makes it look like you are dancing on stars. 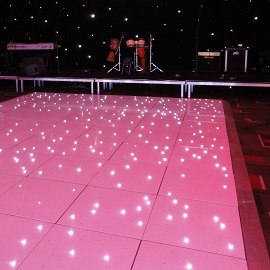 The floor’s tiles are fitted with hundreds of low voltage LED lights which illuminate during your first dance as a couple. They can do so in a series of patterns and styles (e.g. 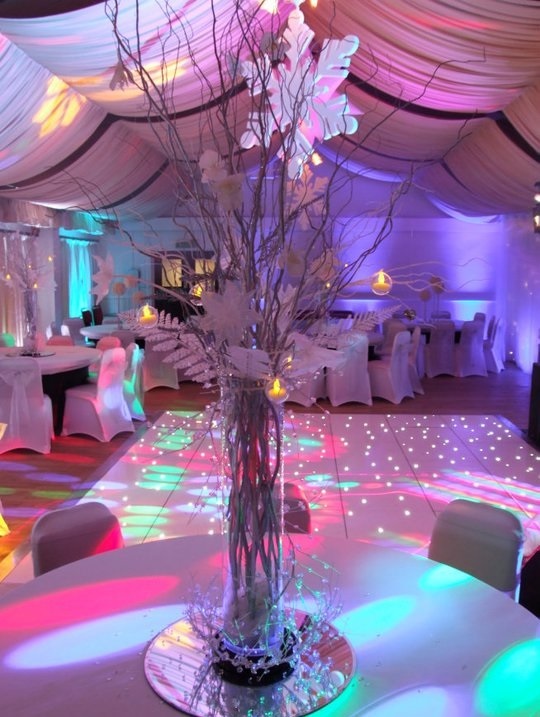 a twinkle effect or a chase effect) to complement the music that is being played. 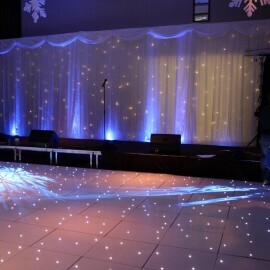 A stunning way to improve the twinkly dance floor is to include a Dancing On Clouds effect. 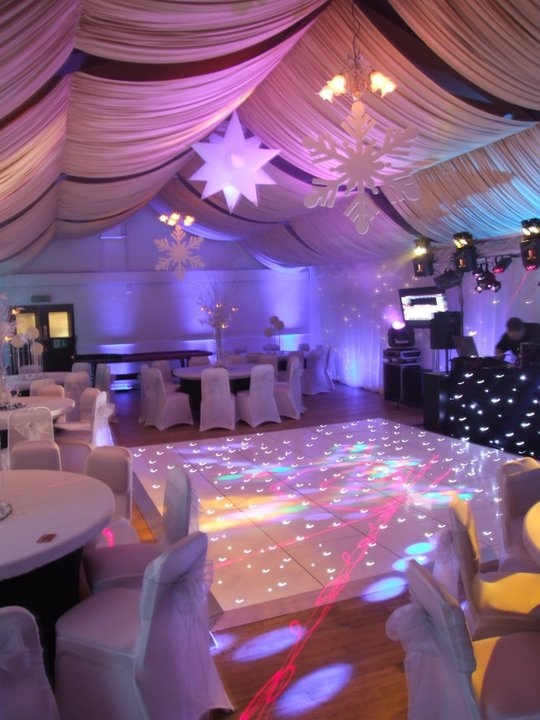 It will exhale a very small amount of dry ice when you begin to participate in your first dance. 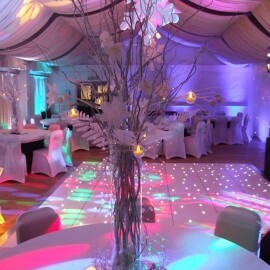 The steam will hug the dance floor, lingering around the couple’s feet, to create a magical effect. 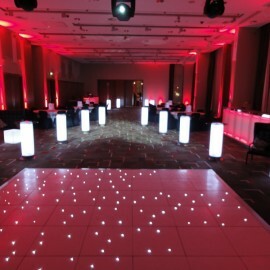 Project your name or a customised logo onto the dance floor during your first dance with this dazzling add-on. 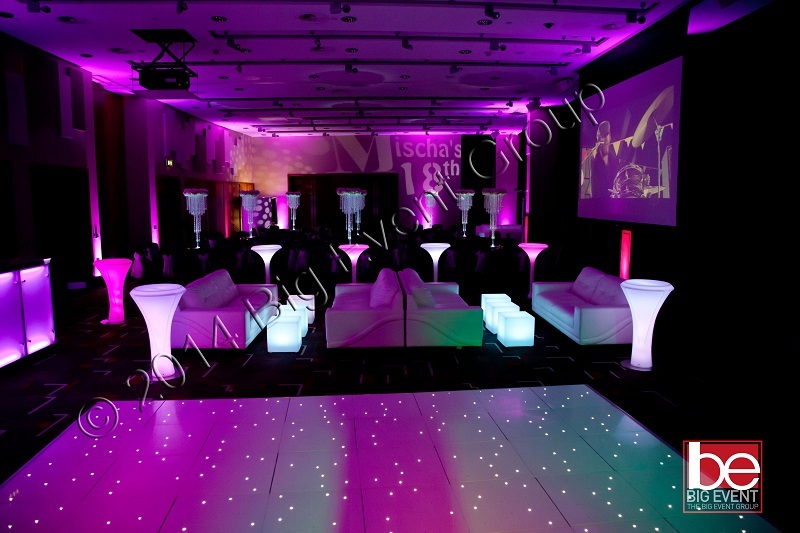 The effect will be created by a light fixture with light fed through it by a small metal or glass disc called a gobo. 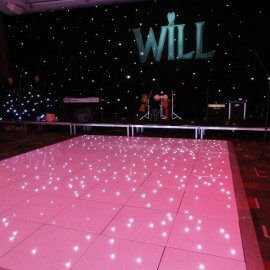 It will help to make the dance floor truly unique, personalising it specifically to your event. 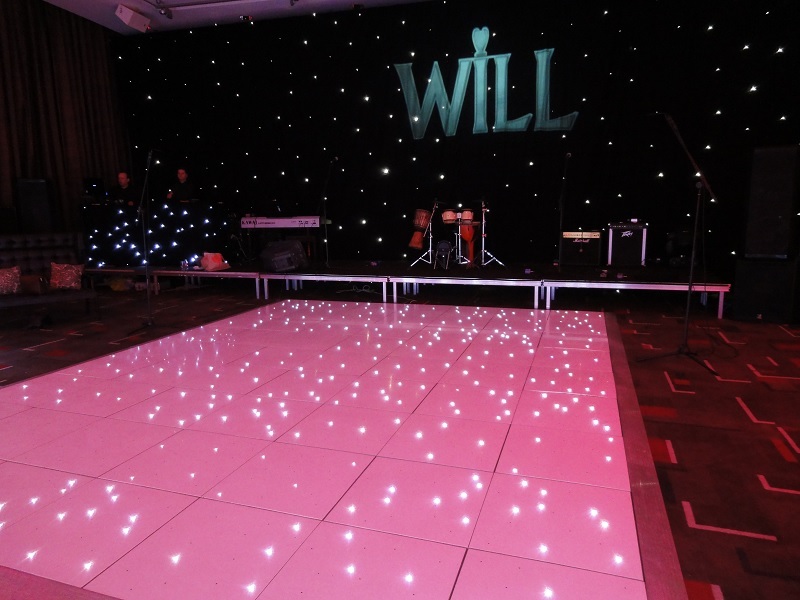 Dance with a beautiful LED sign behind you. 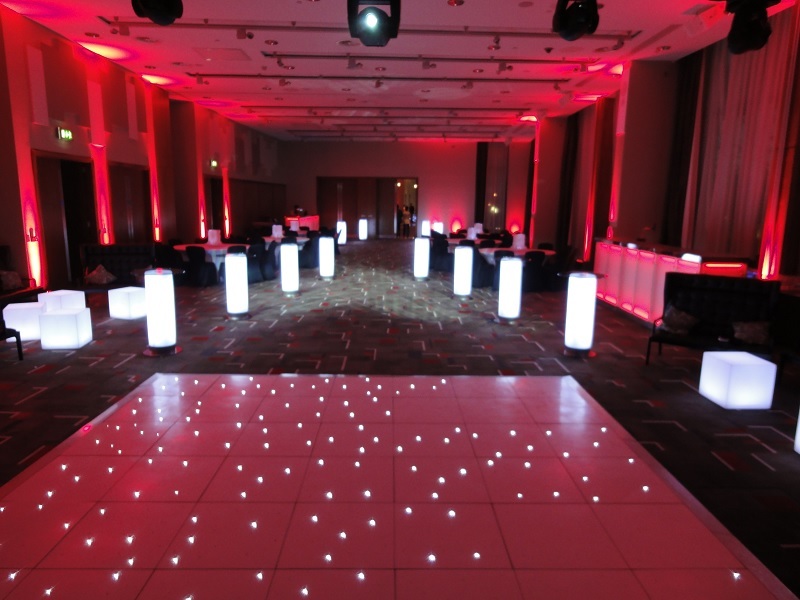 Big Entertainments can provide a five foot tall ‘Love’ sign made from thousands of sparkling LED lights. 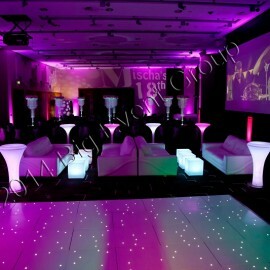 It is perfect for placing beside or behind the dance floor.